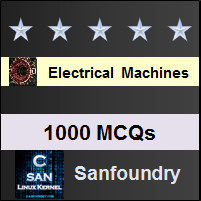 This set of Electrical Machines Multiple Choice Questions & Answers (MCQs) focuses on “Measurement of Xd and Xq”. Explanation: Both the OCC as well as short circuit test are used to calculate the d-axis reactance. 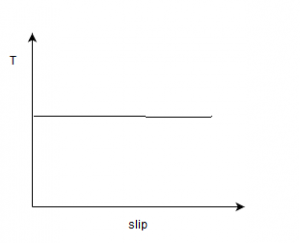 Explanation: Slip test is used to determine the q-axis reactance. 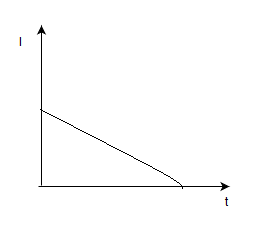 Explanation: The impedance during slip test is low so the voltage drop will be less and the current will be more. Explanation: Slip test is conducted at low terminal voltage to avoid large slip in the synchronous machines. Explanation: If the excitation itself is made zero, then machine will stop. Explanation: It will act as induction motor as there will be difference in the speed. 7. When a 3–phase alternator is suddenly short–circuited at its terminals, the initial value of the short–circuit current is limited by which one of the following ? 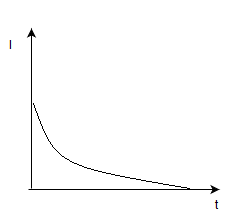 Explanation: When suddenly the terminals of the synchronous machine will be short circuited, at that immediate instant it will be subtransient reactance. Explanation: SCR is directly proportional to voltage regulation. Even stability limit is directly proportional to SCR. 9. The phasor diagram of a synchronous machine connected to an infinite bus is shown in the figure. Explanation: The induced voltage leads the bus voltage, which means that it is at leading pf and then excitation magnitude is also more than terminal bus voltage. 10. If the excitation of a 3-phase alternator operating on infinite bus bars is changed, which one of the following will get affected? Explanation: Excitation is coupled with the reactive power of the machine majorly. 11. In which one of the following is reluctance power developed? Explanation: Because there is variable air gap due to saliency of the poles. 13. A synchronous motor is operated at a bus voltage of 1.5 pu and drawing 1.0 pu at zpf leading current. Its synchronous reactance is 0.4 pu. What is the excitation emf of the motor? Explanation: E = V-I*X = 1-0.5=0.5 pu. power input to the shaft of the machine is terminated at time t0. The short-circuit current circulating in the armature will change till the machine comes to halt at ‘ts’. 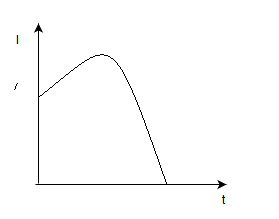 Which one of the curves depicts this phenomena? Explanation: The short circuit current will be a constant value till it flows. Explanation: When a stationary synchronous machine is connected to the infinite bus, due to lack of synchronism there will be short circuit in the machine as the impedance reached very negligible. 16. Which of the options given will have no effect on the working of the synchronous motor if ignored? Explanation: The medium reactance is not any disadvantage to the synchronous machine. Explanation: As the relative speed will be zero in the damper winding and the torque too. Explanation: Slip test is used to determine the direct axis and quadrature axis reactance.